I decided I needed to try again so the next day I remade the cake. Instead of a chocolate ganache or glaze, I opted to make a coffee cardamom glaze. It was light and perfectly complimented the flavors of the cake. The lighter glaze also made it more ideal for a snack with coffee in the afternoon or an indulgent breakfast treat, without being too rich. 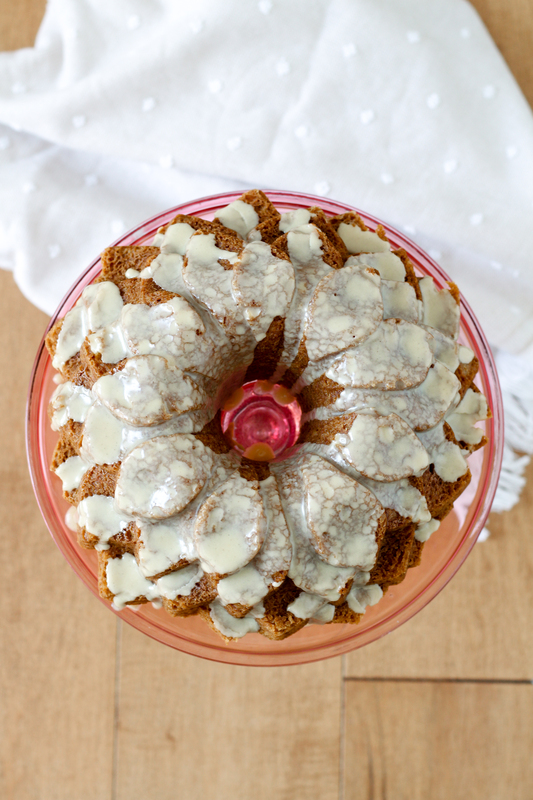 Notes: I used the Blossom cake pan by Nordic Ware for the cake pictured. 1. Preheat the oven to 310 degrees F. Grease or spray a ten cup capacity Bundt pan, making sure to grease every nook and cranny. 2. Cream the butter and sugar together until light and fluffy. Add the eggs one at a time, scraping down the bowl after each addition. 3. In a separate bowl, sift together the dry ingredients and fold in the sour cream. Min in with the butter, sugar and eggs until well combined. 4. 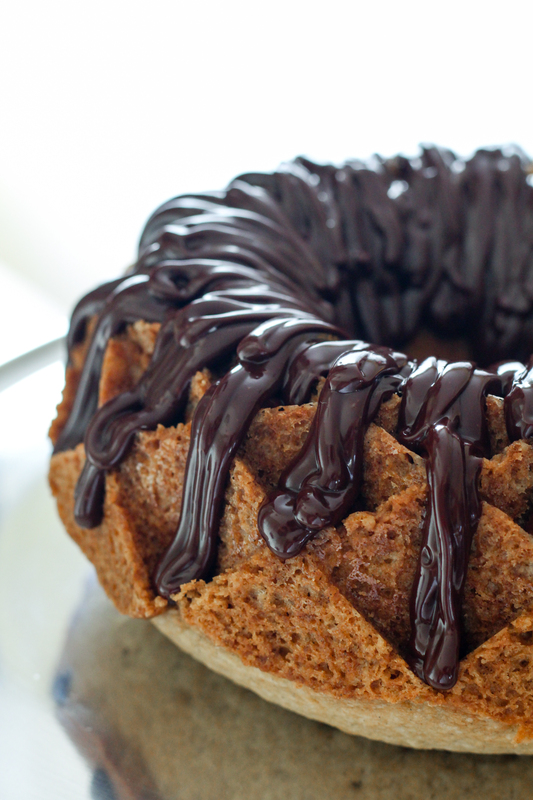 Spoon batter into prepared Bundt pan and firmly tap on the counter 2-3 times to remove any large pockets of air. Bake for 30-40 minutes, until a toothpick inserted in the center comes out clean. 5. Allow to cool for 20 minutes before removing from the pan to a wire rack. 6. 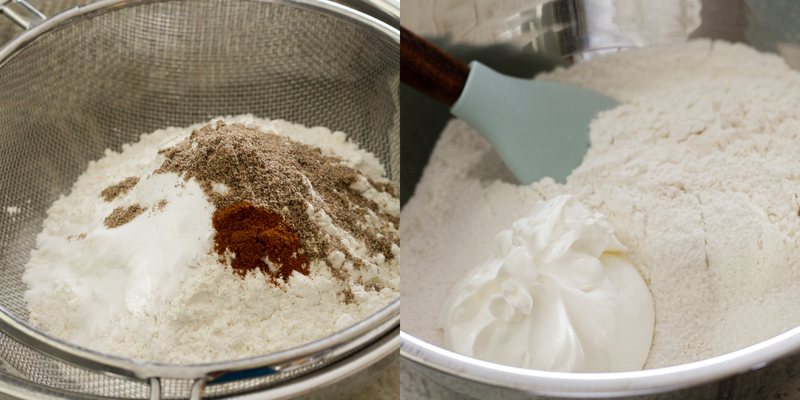 When cake has cooled completely, make glaze by mixing together the cardamom, powdered sugar and 1 Tbsp. of the coffee. Add additional coffee if needed to make a thinner glaze. 7. 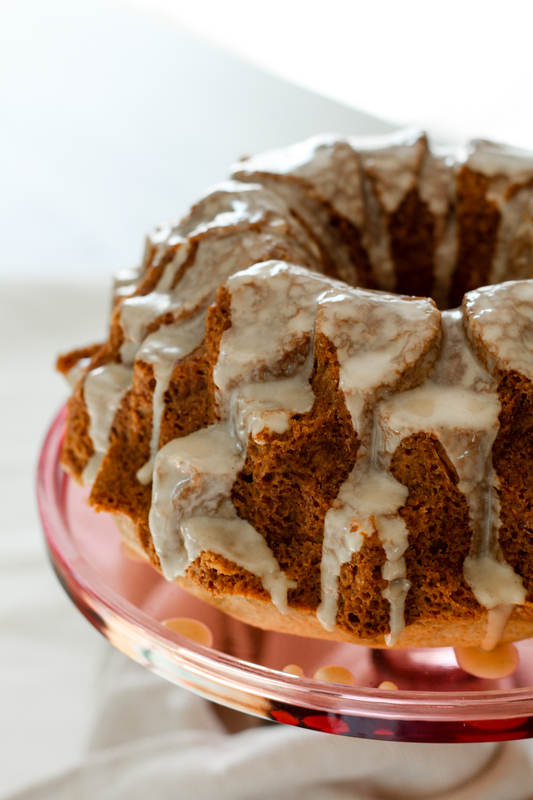 Pour glaze over cake and serve with a cup of coffee or tea. 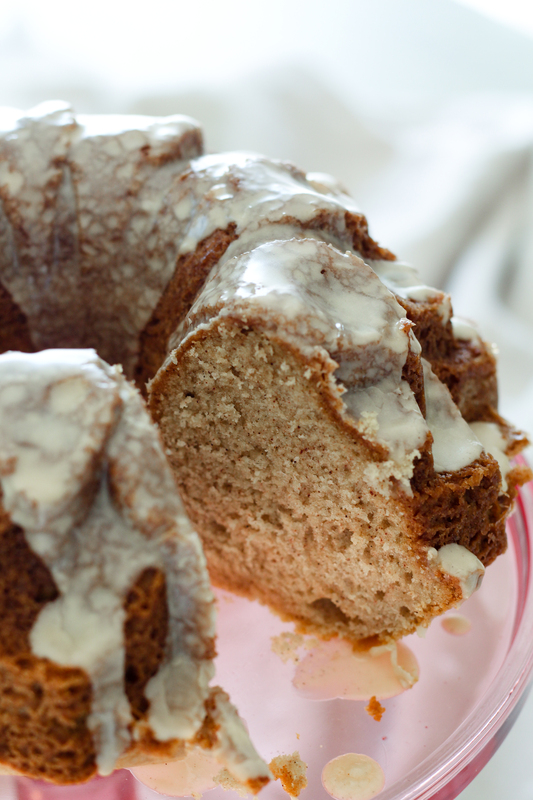 This entry was posted in Breakfast Eats, Cakes & Cupcakes and tagged bundt cake, cake, cardamom. Bookmark the permalink. Beautiful photos. Both cakes look delicious, but I can see the appeal of the cardamom coffee glaze. It lets the cake shine. I loved this cake too, and I can’t wait to make it again, but this time I want to try that fantastic glaze that you used – genius! Unbelievable…… such a work of baking art! Beautiful cake! And a delicious idea with the cardamom glaze instead of the chocolate! Very nice. And now you have two cakes to enjoy! Oh wow! You baked this, twice! Love your personal twist with the coffee cardamom glaze! Both cakes look fabulous!